For a few weeks now I have been observing Megs to see if there is any weight to the comments her key worker made to me about her not hearing so well. The school said she will often not respond to them when they call her or ask her something, and that she isn’t a rebel, but just seems to not really “hear” things. I stood there and took in what they said, but laughed too as I’d always believed her to just be a dreamy child that needs calling back to reality occasionally when you need her to get dressed, tidy up or whatever the task at hand is. I’ve never questioned her to have a hearing issue and so I wondered if perhaps I had over looked something? With this in mind and now my wondering about similar behaviours at home, loud talking from her and turning everything up that she watches, I called the GP to see if anything needed to be done. 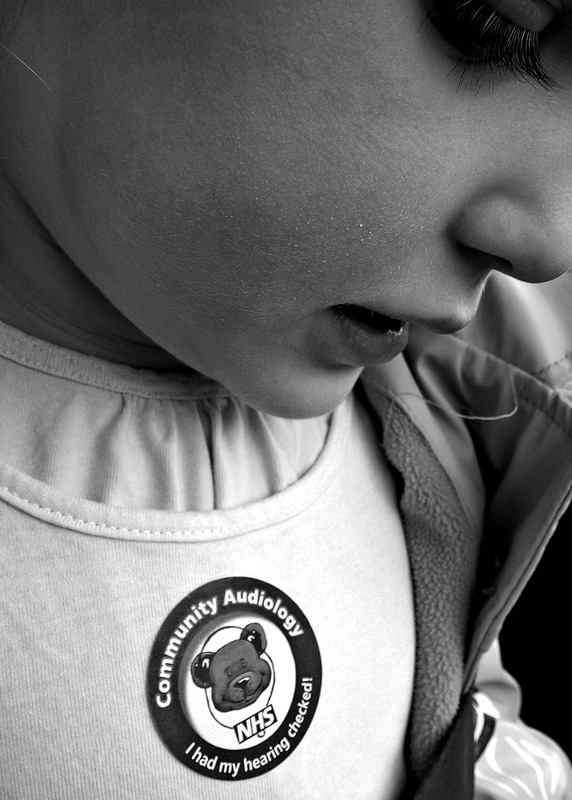 She kindly referred us to Audiology just to make sure and yesterday was our appointment. Megan was pretty excited, and confident once there. All she had to do was pop a building block into the tub whenever she heard a noise. They then sent varying decibels through and she did just that. 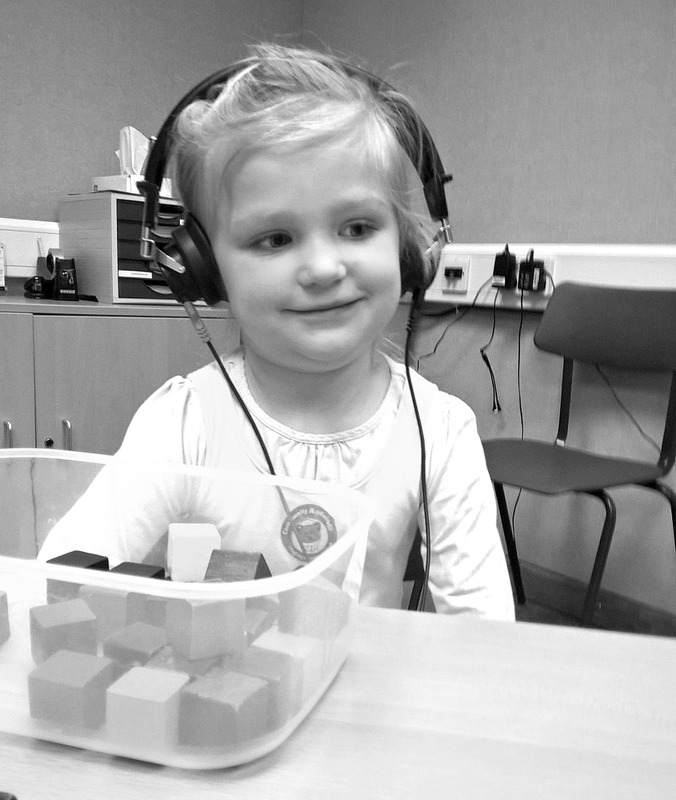 And as I sat there watching her my heart just welled up with love for her and she looked so adorable sat on the little chair with big head phones, the little chick doing her little test, I felt a little emotional but happy she seemed comfortable in the environment. I hoped all was okay and worried a little of what if it wasn’t. She missed a few of the quieter ones, but they said she still falls into normal range and no further action needed. 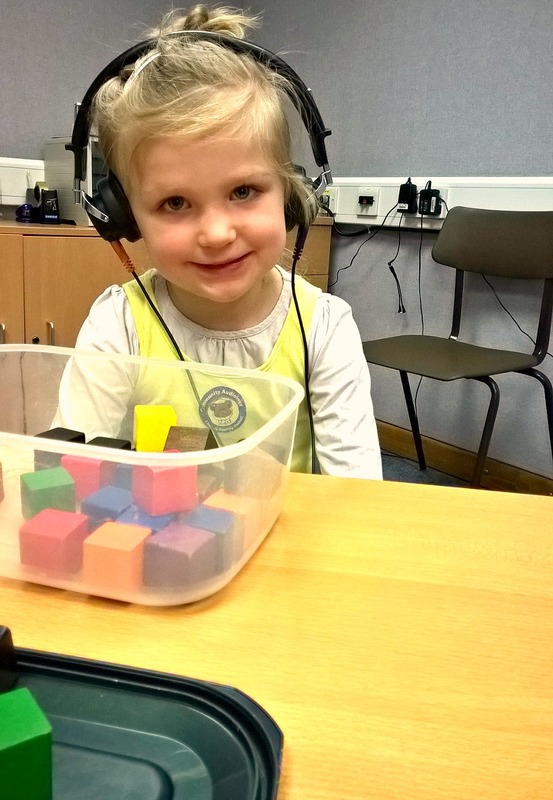 How great and just as mummy thought – a little dreamer in her own world loving life and choosing what SHE wants to hear!